There are many benefits of installing a security camera system in your business or home. Many homeowners install security systems without thinking of installing a camera. What happens however if a thief manages to get past some part of your security system? How are you going to find out what happened? Or, what if you want to figure out who tried to break into your system, regardless of whether they succeeded or not? There are many advantages in having a security camera. Let's look at the top 5 now and see how you can benefit from them. 1. If you have a security camera then you have an automatic crime deterrent because no burglar wants to have their face caught on camera. In a nation where burglary is one of the most common crimes committed, anything you can do to deter crime is a good thing. People are much less likely to commit robbery if they think they will be caught, and a camera makes it much more likely they will get caught, whether or not they take something. 2. A security camera provides you, the home or business owner, with actual hard evidence something was done, or that a crime was committed or attempted. This might not be available otherwise. With 24/7 video camera monitoring, you will have immediate access to your entire home or business and knowledge of any suspicious activities. 3. You have an automatic sense of deep safety and security because the camera ensures you of your safety and protection. You know someone is there watching your home and business all the time, so you feel much safer. You just need to be sure the camera is properly used and not abused. 4. Installation is easy if you have the security expert come out and install your cameras for you in the best places possible. You don't have to mess with the installation and set up if you don't want to, so this makes security just one step easier. 5. You can invest in a wireless system and install hidden cameras so you can catch people in the act without their knowledge. Some people may prefer to use cameras as a deterrent to scare burglars off. 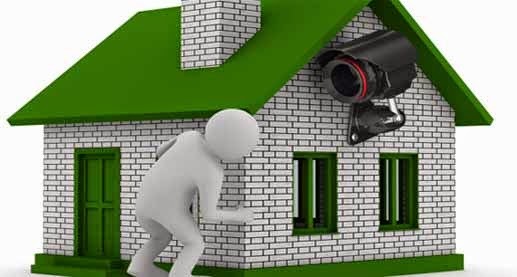 However, surveillance cameras that are hidden from view may capture video of actions that can be used later in a case against a burglar that did not realize his or her ever move was caught up on tape. These images can be sent immediately to a patrol monitor or the owner's cell phone and even email. All someone needs to watch the video is a good monitor and some of the video camera software to install the equipment correctly. You can even use video cameras to keep an eye on your children or relatives that need assistance or care, so they are really multi-purpose items if you think about it. Investing in video cameras is really a win-win situation for all parties involved. When it comes to protecting your families well being and assets from brazen theives, it pays to get the right advice for first time.